In our classrooms, we ask students to reflect on their learning as a metacognitive act, as a way to cement learning and create new neural pathways. We know that formative assessments—brief checks for understanding and ways of making our thinking visible—are an excellent gauge for where our students are, and serve as a springboard for students’ growth. It’s time we did more of the same for ourselves. When I entered into my teaching credential program 20 years ago, my supervisor talked about the scope of our work for the year: we would learn some theory; we would do some student teaching; we would finesse our lessons and units; we would apply for jobs; and we would do lots of reflection. My supervisor emphasized reflection in particular as the most important part of our practice—we wouldn’t be effective educators unless reflection was part of our daily work. Two decades later, I’m grateful for this wisdom, and I continue to see the value of reflection in each phase and stage of my work. According to executive coach, Jennifer Porter, in an article for the Harvard Business Review, reflection “gives the brain an opportunity to pause amidst the chaos, untangle and sort through observations and experiences, consider multiple possible interpretations, and create meaning. This meaning becomes learning, which can then inform future mindsets and actions.” Reflection can also serve as a thinking tool that stimulates better decision-making as teacher educator Lana Danielson describes in her ASCD article, “Fostering Reflection.” And David Kolb’s Experiential Learning Theory embeds reflection as part of a learning cycle and as a way to make sense of our work. Set conditions for reflection: Early on in my career, I became familiar with writing guru Donald Graves, who focuses on habits for writing in our classrooms and ways adults can bring more writing into their own practice. He focuses a good deal on “conditions for writing,” habits we need to implement as we prepare ourselves to write. I would offer this same advice for daily reflection: in order to build a habit of reflection, we need to set conditions for it. For some people, it means having a fun and/or fancy notebook; for others it means a pretty pen. It might mean a location. Sometimes people like to sit in a comfy chair or sit outside overlooking a gorgeous view or sit anywhere while listening to music. Whatever your conditions are for reflection, set them so that you not only build in the space and time for reflection, but you feel good doing so. Set a time to reflect: Reflection requires so little of our time, but making space for it can feel like a monumental task. Whatever your workflow and natural rhythms are, carve out a few minutes a day to reflect. Some people thrive from calendar reminders. Some like to get notifications on their smart devices. Others prefer morning reflections after a good night of sleep, or reflection as the final act of the day. Whatever it is that gets you reflecting, make some time and get to it. Determine a process that works for you: Everyone processes information differently. While writing is a more common form of reflection, there are so many additional ways to make our thinking visible. I’ve recently been doing more “sketchnoting” and have been finding that it is a form of reflection I enjoy most these days. Some people like to have a stack of post-its handy. Others keep a running document or a journal (print or online). Some people use voice memos to record their experiences. Reflection should be an easy habit you look forward to, and the method you use should suit your strengths. To get started: As educators, there are so many entry points for reflection. As you build this habit, consider the following prompts:What was the best part of your lesson, meeting, and/or work day? Why? What made it positive? What would you change about your lesson, meeting, and/or work day? Why? What is in your sphere of control or sphere of influence? What energizes you most about your work? Why? What drains your energy? Why? When you encounter a difficult moment, what comes up for you emotionally? What do you feel in your body? Who are your role models? What qualities do they possess that you would like to emulate? What are your strengths? How did you showcase those strengths today? How can you bring more of those strengths into your work? I imagine you also have a broad array of reflective prompts, and in the comments section below, feel free to share some of the ones you use. Hopefully, this habit gives you the resilience you need at this time of year and allows you to continue your process of professional growth. 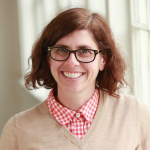 Lori Cohen has worked in education (both public and independent) for two decades and currently serves as the Dean of Faculty at the Bay School of San Francisco. Prior to her current role at Bay, Lori taught Humanities, Literature, and Religion/Philosophy courses; served as an Instructional Coach; and was the founder/coordinator of Bay’s Teaching Fellows program. This will be Lori’s sixth year as a co-facilitator/teacher leader in Teaching Foundations, a program that brings her joy and professional rejuvenation. In addition to facilitating professional development, teaching, and leading, Lori actively works towards equity and social justice in education, striving to offer access and pathways for all school stakeholders to thrive.